Anil Cheriyan, director of the General Services Administration’s Technology Transformation Service, told Nextgov in an interview published Tuesday that TTS is actively looking into how it builds momentum, establishes sustainability and drives for excellence.Cheriyan said the TTS organization should leverage GSA’s Federal Acquisition Service, which he believes plays a role in performing acquisitions especially in the technology space. Joanne Woytek, program manager for Solutions for Enterprise-Wide Procurement at NASA, said the government acquisition contract for information technology services has expanded into a source of purchasing data and "custom engagement" services for agency clients, FCW reported Tuesday. Marina Fox, the General Services Administration’s DotGov domain services manager, said during the Government Analytics Breakfast Forum that the GSA intends to launch an artificial intelligence-based solicitation analysis tool in September, Fedscoop reported Thursday. Fox noted that the agency plans to conduct final assessments for the Solicitation Review Tool, which analyzes federal agency solicitations for Section 508 compliance, by July. USAGov, the U.S. federal government's official web service, launched an artificial chatbot to address scam cases online. The Sam chatbot is built on data regarding individuals who encountered scams. 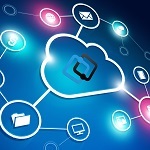 The General Services Administration revised a special item number on IT Schedule 70 to provide federal agencies access to information technology professional services related to cloud adoption and management. The updated Cloud SIN 132-40 includes labor categories and services associated with cloud-related work such as assessment of cloud platforms, workload refactoring, migration of legacy systems to the cloud, DevOps and development of cloud-based applications, GSA said Monday. The Department of Defense divided the potential $8B Defense Enterprise Office Solution cloud contract into three phases as part of a revised contracting strategy, Nextgov reported Thursday. DEOS will serve as the initial phase of DoD’s Enterprise Collaboration and Productivity Services program and will be competed through the General Services Administration’s IT Schedule 70, while the second and third phases will cover video, voice and assured voice services. The federal government plans to construct a new FBI field office at the National Geospatial Intelligence Agency campus in St. Louis, according to a St. Louis Business Journal report Thursday. The planned 40.4K-square foot facility is intended to accommodate information technology equipment and FBI cyber mission servers and unify all field offices across St. Louis. The General Services Administration’s Technology Transformation Service office launched a four-phase program to solicit, fund and test ideas from federal employees seeking to improve government services through the use of technology, Nextgov reported Monday. The 10x program “is designed to find, fund, grow and sustain new technology products and services,” Nico Papafil, acting lead director of the initiative, told Nextgov.